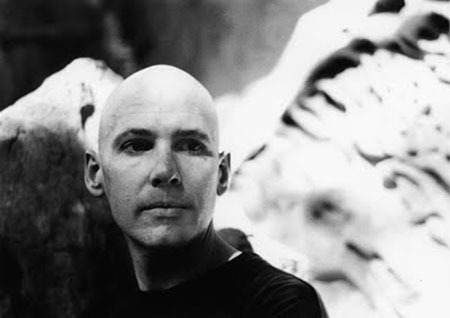 Ambient music pioneer Robert Rich performs in support of his new album, Ylang, using live electronics with analog modular synthesizer, keyboards and computer, along with his signature handmade flutes and steel guitar to create a hypnotic, atmospheric blend of composition and improvisation. Robert Rich began building his own analog synthesizers when he was 13 years old. Across three decades and over 30 albums, he has helped define the genres of ambient music, dark-ambient, tribal and trance. He has performed in caves, cathedrals, planetaria, art galleries and concert halls throughout Europe and North America. His all-night Sleep Concerts, first performed in 1982, became legendary in the San Francisco area, culminating in the 7-hour audio-only DVD Somnium, a studio distillation of the Sleep Concert experience and possibly the longest continuous piece of music ever released at the time. Rich has designed sounds for television, film scores, and video installations, and works closely with electronic instrument manufacturers. He has written software for composers who work in just intonation, and his sound design has filled preset libraries of Emu’s Proteus 3 and Morpheus, Seer Systems’ Reality, sampling disks Things that Go Bump in the Night, ACID Loop Library Liquid Planet, WayOutWare’s TimewARP2600, and synths by Camel Audio.